Life in Jesus Christ is a lot like running a long-distance race. We aim to live faithfully for Christ over a lifetime, and therefore make every effort to stay connected to Him. Do you see your life in this way? 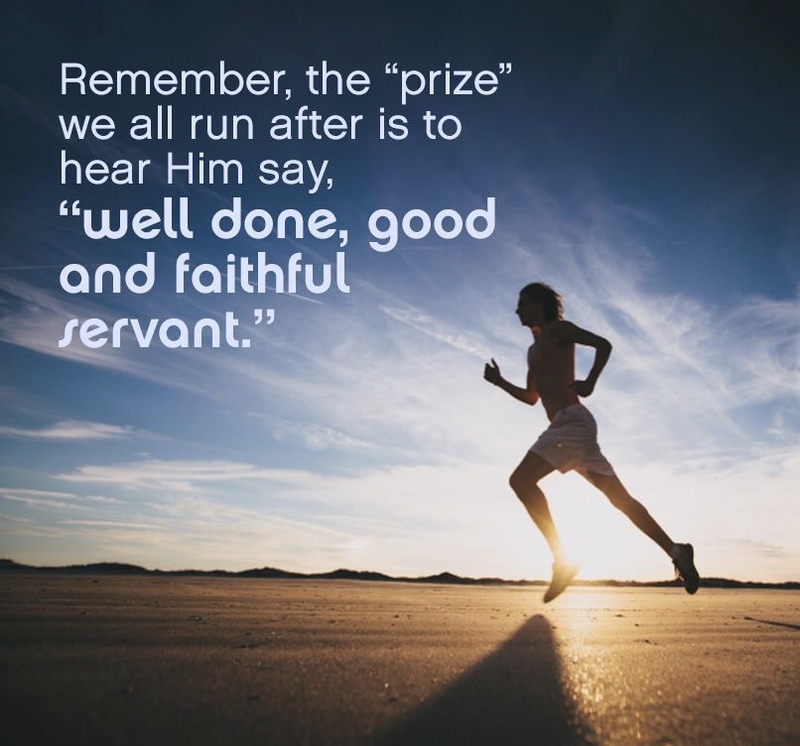 Remember, the “prize” we all run after is to see Jesus' face to face; to hear Him say, “well done, good and faithful servant.” How is your race going?